I promise to blog about all this when I've finished building my bench. 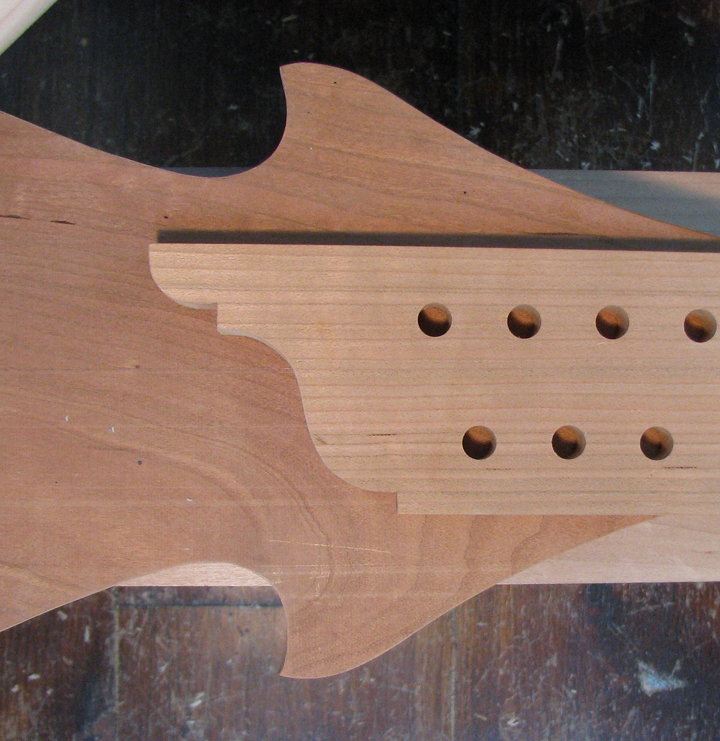 In the meantime, I've installed the long stretchers and tusk tenons—the wedges will eventually have a decorative shape. Now it's on to the sliding deadman. 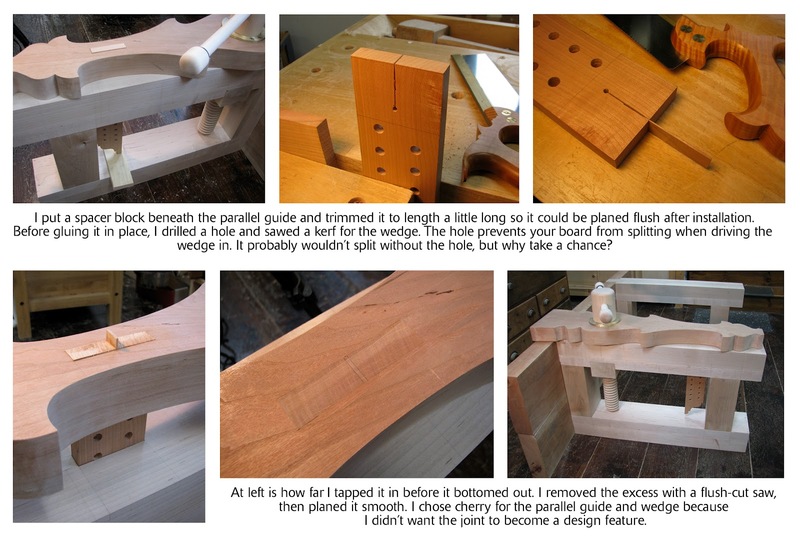 Christopher Landy, the Lighthearted Woodworker, is starting a new series on his blog in which he features and poses questions to a variety of woodworking bloggers. Chris invited me to take part in his series and sent me some fun and interesting questions. He also asked that I send him a "unique" photo of me in my shop. My answers and photo are below. Read Chris' entire blog post here where he explains his intentions. And check his site often for upcoming bloggers in his series. 1- Was there a woodworker in your family growing up? Nope. My Dad is a retired nuclear projects engineer. I learned at a very young age not to ask him what he did for a living, because he’d tell me. In engineer’s details. 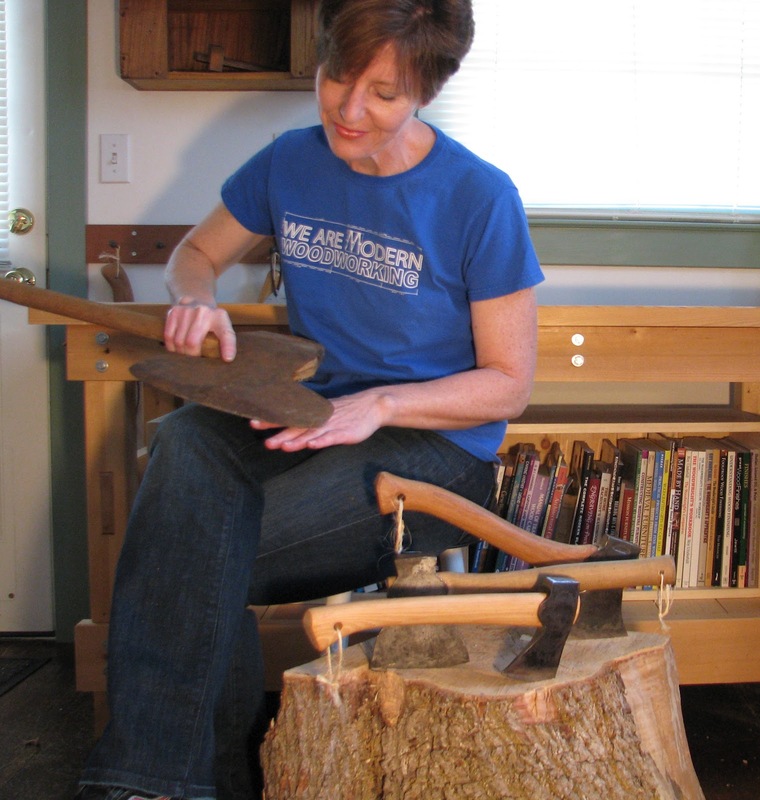 2- Who is your biggest woodworking influence? Probably Chris Schwarz. 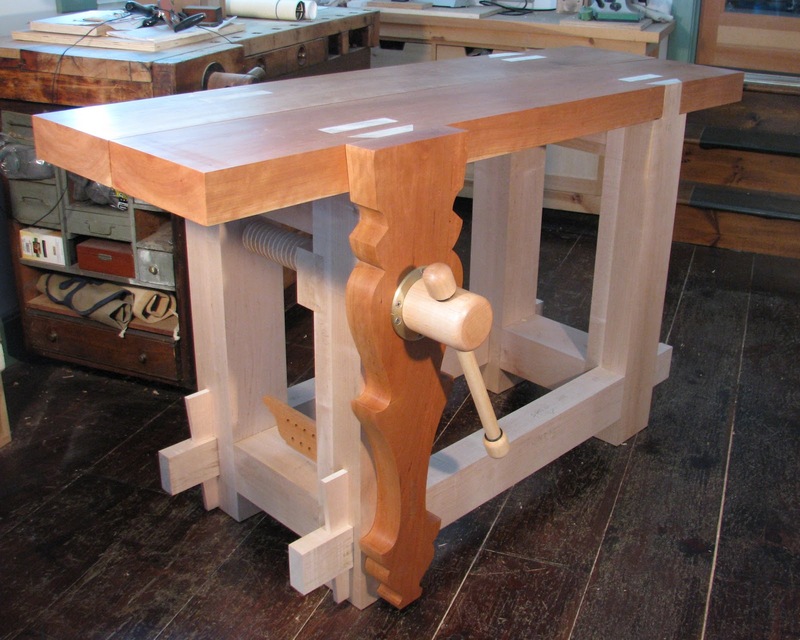 I discovered his blog soon after I started mine, and his enthusiasm for and research into traditional woodworking helped steer me in the right direction. 3- What book would you buy as a gift for a novice woodworker? If he/she were interested in working with hand tools, I would suggest Country Furniture by Aldren Watson. I haven’t read many power tool books, but the book that got me started in woodworking was The Complete Manual of Woodworking by Albert Jackson and David Day. 5- What flavor ice cream? Turkey Hill’s Chocolate Chip Cookie Dough! 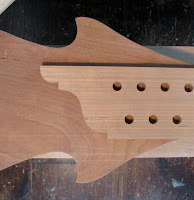 6- You seem to use a lot of pine, which most woodworkers won't touch. What's your favorite wood to work with? I do love pine, especially the smell. My favorite wood is Pennsylvania cherry. Its workability, warmth, and depth are superb. When it’s finished, it glows. Plus, I can get it for a buck fifty a board foot. I’m never moving from this area. 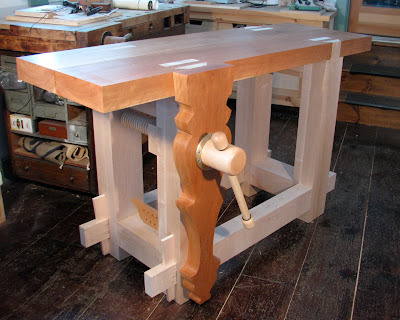 7- I am a big fan of the drawer hanging jig you blogged about. What is your favorite Jig? 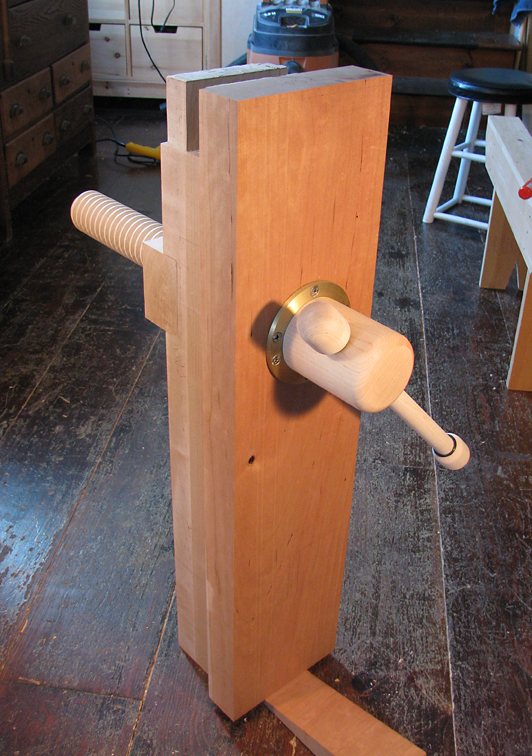 It’s a jig that holds thin and small boards based on a design I found in an old woodworking book. I wrote a blog post about it. 8- Do you compost your sawdust? 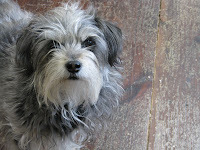 I use it to line the walkways between my raised flower beds, and my dog (Daisy) uses it as a cloak of invisibility. 9- What is the 1st thing you do when walk into the shop? This is silly, but I’ll often walk through my shop with my arms outstretched, looking from side to side, ala Vanna White. It’s sort of the way I “hug” my shop. Crud. Did I just write that out loud? 10- What is the most complicated joint you have ever attempted? 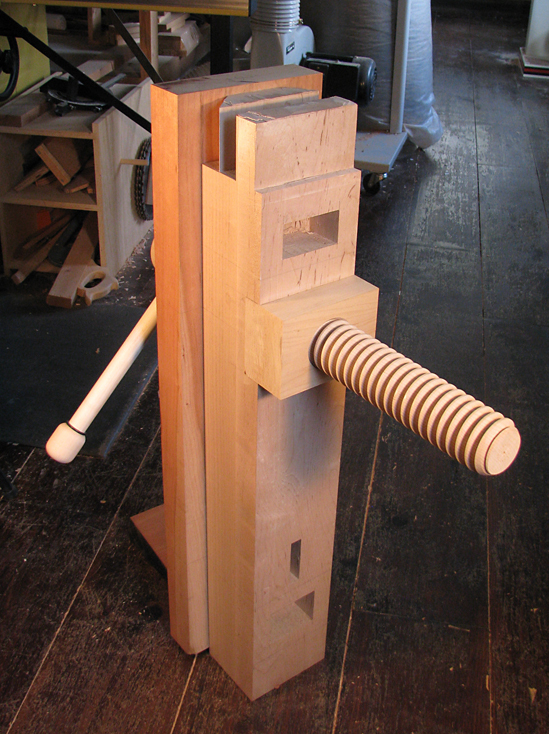 It’s not a complicated joint, but it was challenging for me—the through dovetail and tenons on my new workbench. The fit had to be such that the joints would hold the top tightly but could be pulled apart for transport. And look pretty. 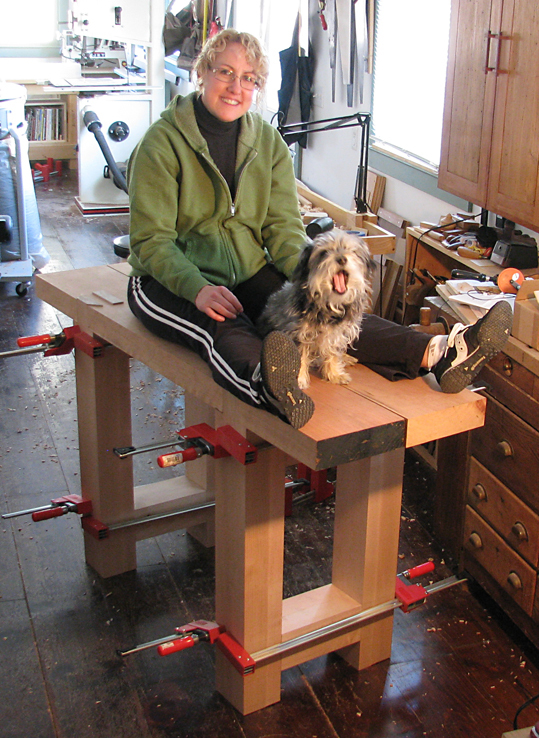 11- What would woodworkers in the blogosphere be most surprised to learn about you? I once stood in line for two and half hours to get Norm Abram’s autograph. 12- What project is on your bucket list? There are a number of antique tools that I plan to reproduce. Some involve engraving and inlay, neither of which I’ve ever tried, so I’m very excited. Regarding the photo: I’ve been asked several times how I keep my nails looking so nice, so here is my secret. That's my New Year's Resolution for 2012. And that's why I've had so much stick-to-it-tiveness with this workbench build. Several months ago, I realized that I don't have a whole lot of projects to show for my 20 years as a woodworker. Twenty years! I should have built enough things to fill a house. Instead, I've spent a good deal of time thinking about the things I'd like to build. 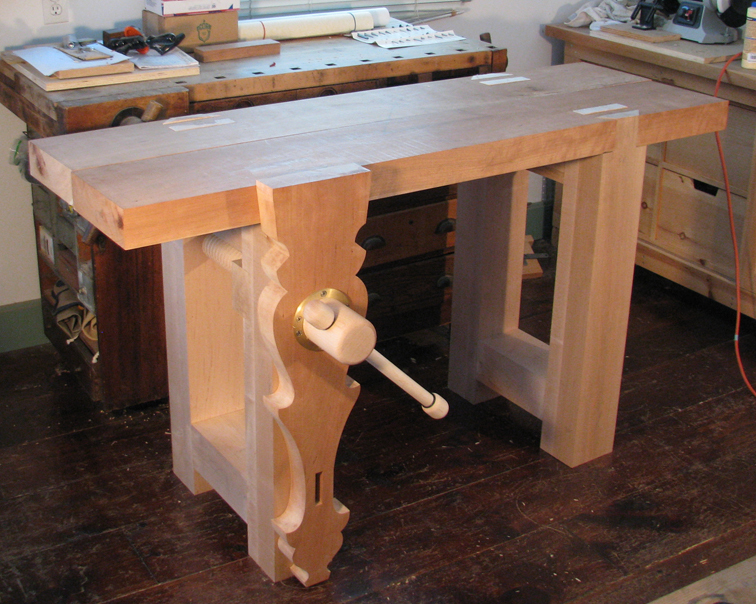 I'll be 48 this summer, which means I may have a good 20+ years of woodworking in my future (or 40, if my genes are anything like Sam Maloof's). And I intend to pack the next 20 years with loads of wood shavings. Here are progress shots of my Roubo build. I'll start on the long stretchers this weekend.